Gwyneth credits her diet journey on a stroke that was later diagnosed as a panic attack. Following this event, she eliminated dairy, eggs, sugar, coffee, corn, wheat, soy, meat and fish from her diet. 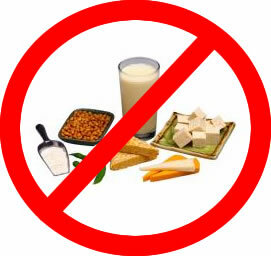 This “elimination diet” does permit nuts (she loves almond butter), rice and lentils. Oh, and wine. people who are truly gluten-intolerant or suffer from celiac disease. Because of Paltrow’s fame, eating gluten-free has something of a celebrity halo. Hope that it lasts. The Gwyneth Paltrow diet features a lot of fruit juice. She regularly conducts a juice cleanse to rid her body of toxins. Given her limited diet, where do these toxins come from? Is it possible to be healthy on such a limited diet? Only people truly obsessed with reading ingredient labels can hope to create a balanced diet within Gwyneth’s guidelines. You probably don’t have a personal chef, nor access to exotic foodstuffs, either. So can the Gwyneth Paltrow Diet make you look like Gwyneth? Nope, not a chance. Could it provide a (temporary) diversion from your non-movie star life? Sure, why not?